While some people find job hunting fun, many more people find it a stressful activity filled with uncertainty. It is often difficult to know where to start and what to do. 11 Recruitment is an employment agency specialising in filling white collar job vacancies. Here are some suggestions to help you in your search for your perfect job. First, you will need to do some groundwork. Check out what they and their clients’ offer. All employment agencies (permanent and temporary recruitment) list their vacancies. Look at what each has on offer. Make a list; this will become your wish list. Your wishlist will act as a reference point when applying for roles to ensure you are not wasting your time with jobs that you know are not right for you. Going into the job hunt knowing exactly what you want, and what you bring with you, are the keys to success. Job hunting means what it says: to hunt for a job. Looking at job boards is one way, but this is the most common method and your competition is high. Everyone else is looking there also. Most people initiate contact by phone. Email employment agencies your CV and apply via their online portal. Most employers and companies also initiate contact by phone with employment agencies and again, competition is high. It is hard to stand out. It would be better to get in front of the employer and the employment agency before they advertise. A full-blown recruitment drive is expensive and time-consuming for an employer or employment agency, and most would prefer to skip it. If you could be in the right place at the right time (i.e. when an employer or company has have a vacancy that has not yet been advertised), then this would be a big competitive advantage. This is a platform you can – and should – use. However, for most people, LinkedIn is not easy. The reason being that you need to step outside your comfort zone to connect with, and start a conversation with, a stranger. This is what sales people do but most job applicants are not sales people. However, when you are on a job hunt, you become a sales person. You are selling yourself and your services for a price – your salary. 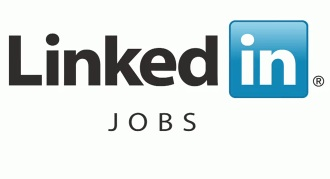 The layout of LinkedIn is not particularly useful for conducting a job search. You can post your profile for millions to see. You can also apply for jobs. While there is potential for employers and employment agencies to find you, the odds are against you, just as they are in the wider world. To effectively use LinkedIn, you must learn to utilise it the same way a marketer or sales person does. You need to widen your network. Reach out and ask for people to connect with you. While some people may initially find this difficult, it must be done. Recruiters working at employment agencies are accustomed to being approached and they accept connection requests from everyone. Next steps from this point may not be entirely clear. The most simple thing to do is to do thank each recruiter for connecting, and ask them to keep your CV should any vacancies arise that may suit your skills. Three weeks later, follow up to see if any opportunities have presented. Also, ask if they could give you the names of two people who might be able to help you. Reach out with a connection request to each set of two new people and repeat the process. How many people should I connect with? You can initially send out a maximum of 3,000 connection requests. Job hunting is full time work – go for it. I advise limiting your connections with people who work at an employment agency to not more than 10% of your total connections. 167 job opportunities per month! The trick is to connect with people who employ people with your background. This is why it is so important to choose which employment agencies and employers you wish to connect with. If you do have a profile, please feel free to connect with the Managing Director of 11 Recruitment, Christian Madsen. Clicking on that connection will give you some further job hunting tips. It is the goal of 11 Recruitment to become the best employment agency in Perth, Western Australia. If this sounds like you then please feel free to submit.